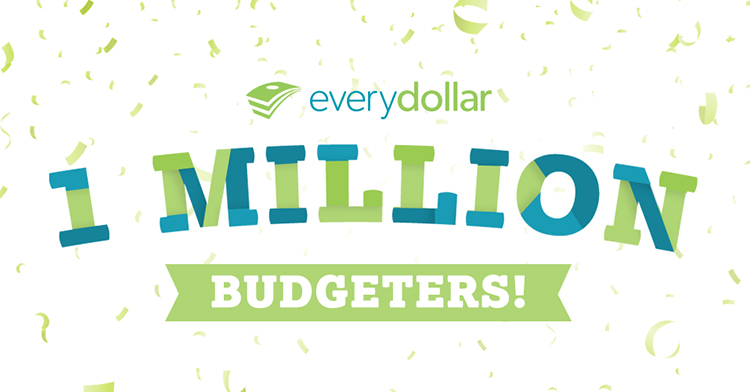 EveryDollar just passed the one-million-budgeters mark! One! Million! We’re a little excited. Can you tell? This milestone means more to us than a number. It means more debts paid off, more savings accounts funded, and more lives changed. And it means way less stress for a lot more people. For those of you who joined us in this budgeting movement, thank you! And for those of you who are ready to take control of your money for the first time, welcome! Today we’re celebrating EveryDollar budgeters just like you. Jessica C. has done the whole budgeting thing in the past without much luck. This time, she found something that actually worked. Like, really worked. “We tried budgeting on paper and it worked out okay. We tried a spreadsheet and that was about the same. We tried EveryDollar and it changed everything,” she says. “My husband and I stayed on (or below) budget and managed to pay off $24,000 in debt in nine months. We couldn’t be happier or more relieved." Once Justin W. knocked out his debts, he used the extra money to build up his emergency fund. “EveryDollar is the primary reason that I am debt-free and have over $10,000 in savings." Amanda B. was at a total loss when it came to her money. She didn’t even realize she had extra cash in her budget. “Before starting with EveryDollar, I had no idea where my money was going. Turns out I had about $1,000 extra to put toward my debt snowball!" With a better budget, John L. was able to steam through $18,000 worth of debt in just six months! “Now we have a $12,000 emergency fund that’s growing by $3,000 each month,” he says. “EveryDollar helped us finish our debt snowball and rein in unnecessary spending. Without it, we would still be in debt." Inspired yet? We are! Join these amazing men and women and see how an EveryDollar budget puts you in control of your money. If it can work for a million people, it can work for you too! Start budgeting now with a free EveryDollar account!